This is a topic that comes up from time to time and it seems I have an unusual experience when it comes to them. I own five; one Alpha, two older Babolat, and two unbranded. If I had to guess, I’d wager that at least one is a Gamma. 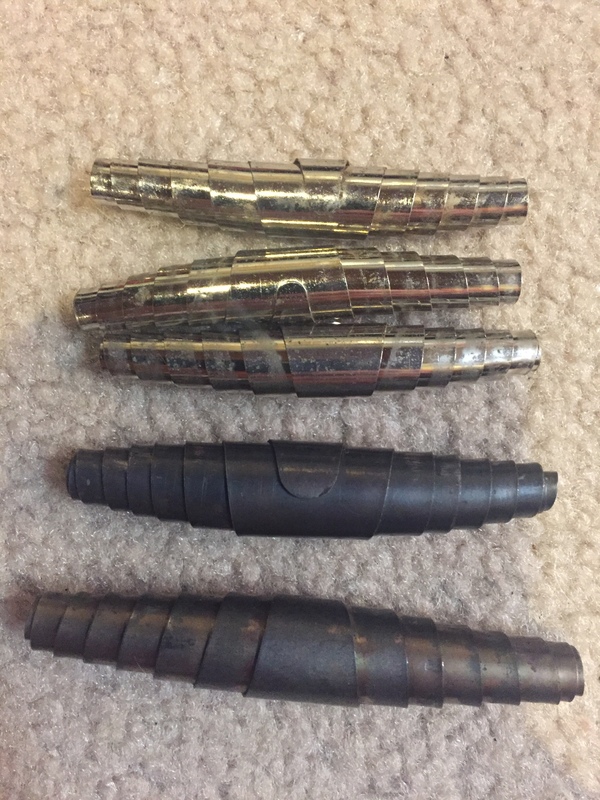 * Four of them are the same size but the Alpha has a clamp/mouth that is up to 50% larger. The Alpha is also likely the newest of them all. I’ve used them all and the size is the least important factor. * Four of them have two springs and one has three springs; at least, it did at one time. One of the Babolat clamps came to me missing a spring and I’ve mixed and matched to used the better clamps. * Springs make the clamp. It’s not the number of springs. It’s the size and quality of the spring. One big, long spring is better than three small, skinny springs. * Babolat uses non-chrome plated springs. They’ll oxidize over time. It’s not a big deal. It’s just what they use. They’re not better or worse. 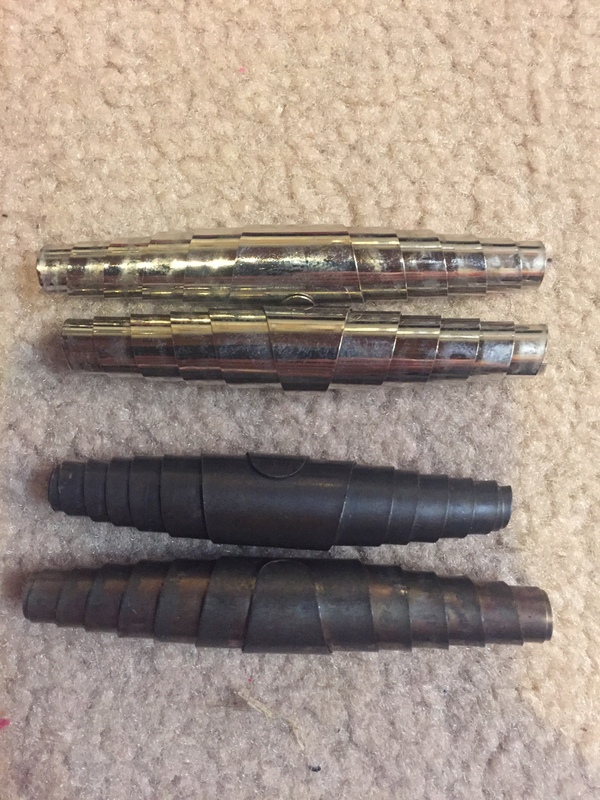 * Four of the clamps use nothing but course metal in the mouths from their casting. One uses what looks like a gritty, sandpaper like insert on both sides of the clamp. That one is also the one with three springs. While it is the same size as the others, it appears to be of the least quality and came with the smallest springs. Babolat springs vs three springs from cheap clamp. Some are dirty. I’ll clean soon. 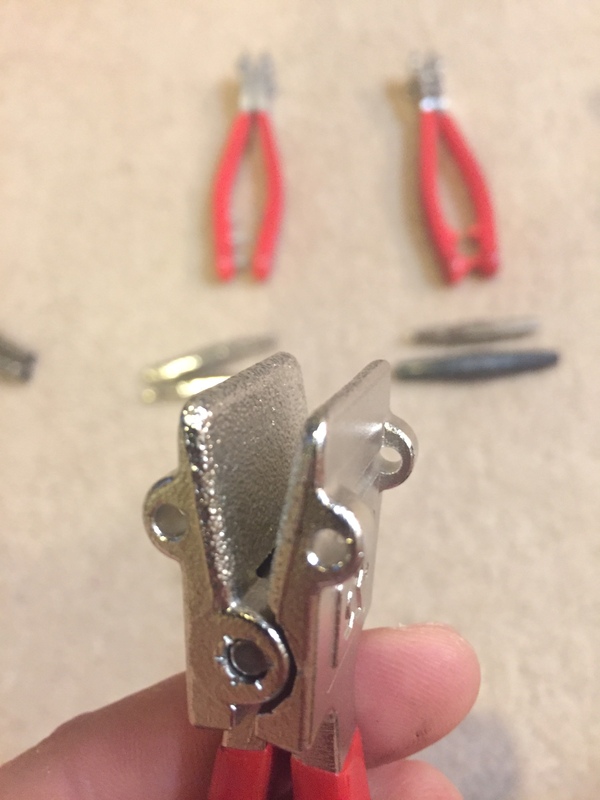 I hope this helps someone in their determination of what makes a good starting clamp. I’m sure there are experts out there. My opinion is that any of them are good as long as they have big, strong springs and are not relying on inserts to hold the string in the mouth. I have 3, an Alpha, a Tenex and a Gamma. The Alpha is permanently set up as a bridge. To me it is too strong and leaves marks. Not an issue when used as a bridge. The Tenex gets used constantly. The Gamma is a piece of crap just as you've found. The red one with the inserts. I have to disagree on the Gamma. While it may not be the best, it isn't junk. I can start mains up to 60lbs (never tried higher) with the gamma and it never slipped except when the insert came out. Which while annoying was fixed easily with a drop of gel super glue. 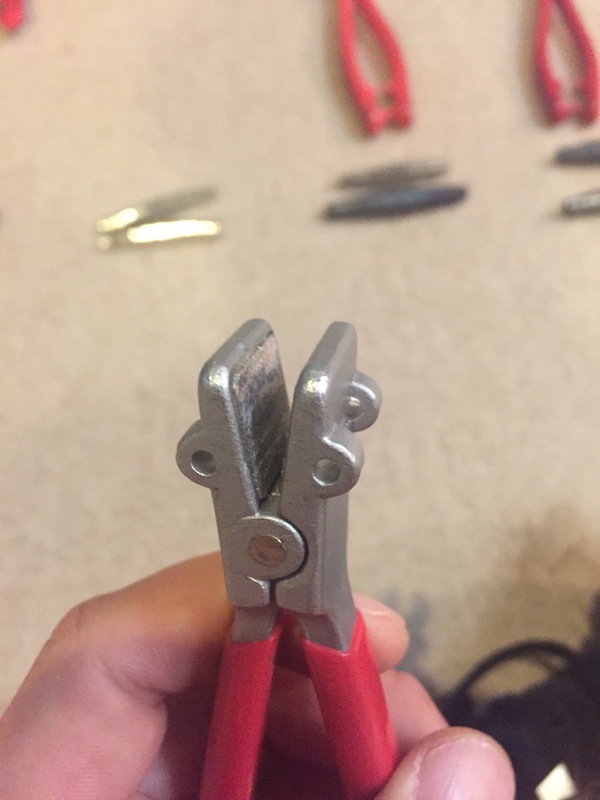 The Pro's Pro clamp I have is junk … doesn't hold hardly anything. I think that is due to the springs mostly as I used the Gamma springs in the Pro's Pro clamp when I thought I had lost the Gamma insert and it was a little better, but still not great. Compared to the others with the exception of the Pro’s Pro, the Gammas are junk. The fact that you needed a glue or epoxy to hold it together speaks volumes of it being junk. It might be functional junk but it’s still junk. This is reminding me of conversations I had as a kid. It was okay for us to talk bad about our cars being crap but you better not tell me my car is crap! Those are fighting words! I have a Gamma and a Eagnas (Pro's Pro). I have a Gamma, a Babolat and a GSS. I’d rank the GSS and Babolat as close (slight preference for the GSS). As for the Gamma, the “plate issue” has never been a problem for me. It is not quite as strong as the other two but has been just fine. That stated, if I needed a new one tomorrow I would buy the Babolat as the GSS is no longer available. I still want to know someone who has purchased (or heck, even used) the Kimony Starting Clamp. I'd love to know what it brings to the craft at $250! That’s sort of the way I think when I read about a home stringer who only strings for themselves wanting to know whether they should buy a Barairdo, Ghost 2, or wait for the newest Babolat machine. 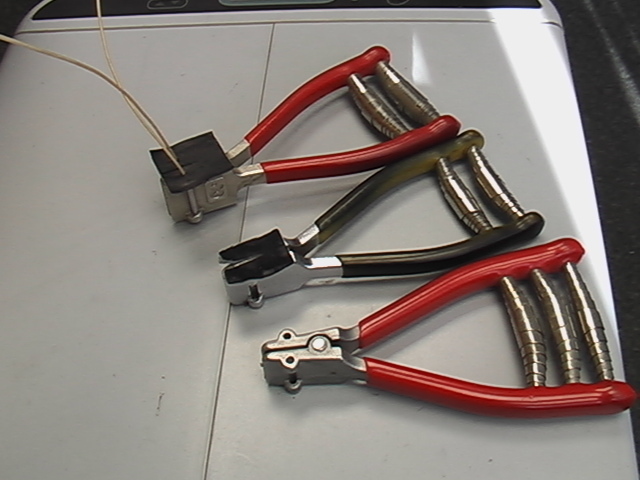 The Kimony starting clamp is made by Toyo Zouki. The exact same starting clamp made by Toyo Zouki is available for $120 or something like that as part of a tool set from Yonex. 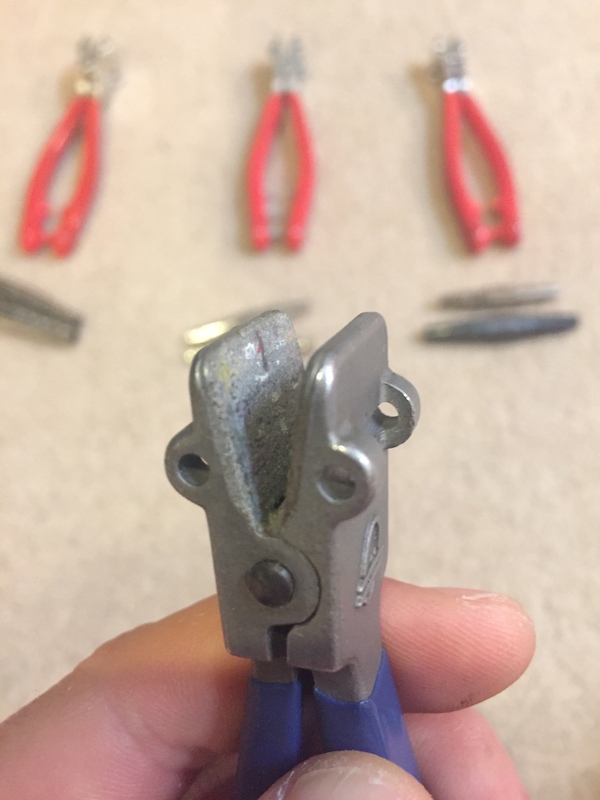 The Kimony/Yonex starting clamp is not diamond-dusted, and opens and closes just like fixed machine clamps do. ^^^so, I take it that it locks like a fixed clamp as opposed to using a set of springs to keep constant pressure. I see it is adjustable from "Tennis" to "Badminton"-- is it similarly adjustable for different gauges? What is the benefit versus say, the Babolat clamp? I would that I have been impressed by other Kimony products (I have used the grips, I have the string bed cutter and the starting block (which I really like) and order my Power Pads from them). Just couldn't wrap my head around that price for a starting clamp--had seen the Yonex version in another thread about this clamp. If you have one, how do you like it? Yup, no volute spring on the Kimony/Yonex starting clamp. It is adjustable for different gauges, as fixed machine clamps are. I like the way it releases, between the mechanism and the lack of diamond dusting it seems to mark string less than the Babolat clamp does. I favor my Babolat starting clamp for starting mains, and I favor my Yonex starting clamp for holding the short side and for starting crosses. I would never pay the Kimony price for the Toyo Zouki starting clamp. The Yonex price is fine because the other tools included in the set are very good and I use them all the time. The price for the Babolat starting clamp is fair. 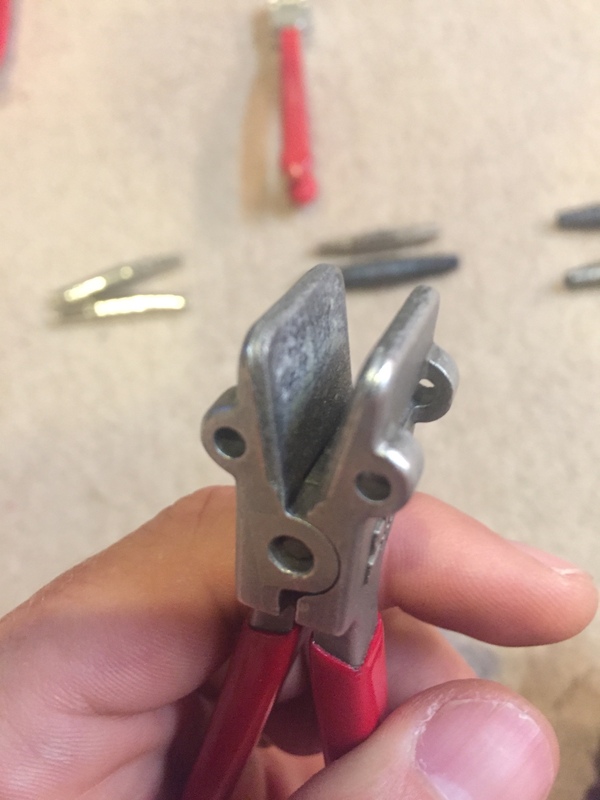 I have a couple lower-quality starting clamps - identical - sold by Gamma and I forgot the other source, that I use for stuff like manual prestretch. I have an Alpha and an Eagnas (3 stiff springs). I only use the Alpha. 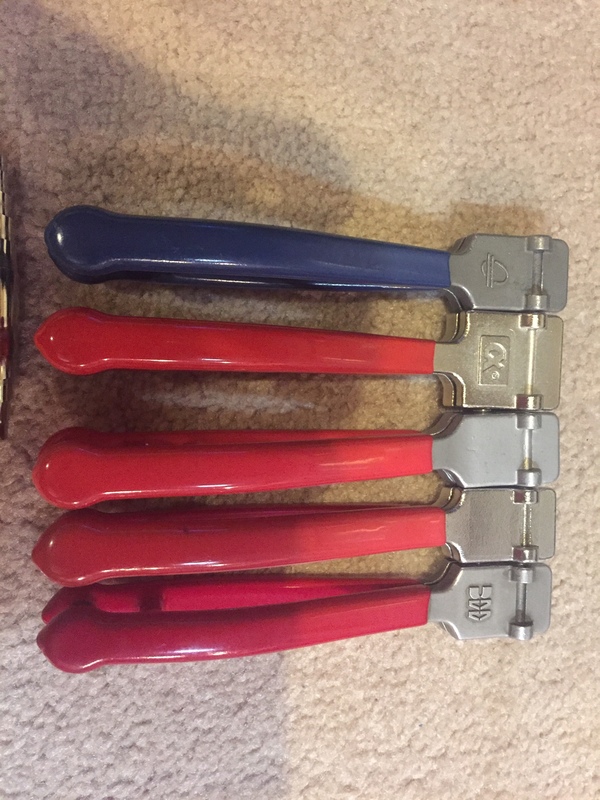 @dak95_00 I have 3 different clamps. An old VS, a 10 yo Gamma and an almost new pros pro. All three worked well to start with the VS and Gamma work well still. I took the springs out today just to look at them and had a hard time getting the VS spring back in. Compared to the Gamma and Pros Pro the VS springs are much harder to compress. As a matter of fact the VS springs were hard to get back in. The VS has 2 springs where the Gamma and Pros Pro both have three. Any way the Pros Pro has started to slip on me and I just keep it in the drawer. With the springs out the VS and Gamma close so there is no gap from top to bottom of the jaws. In the Pros Pro I can see about a 1 mm gap at the bottom of the clamp when closed. Not good! 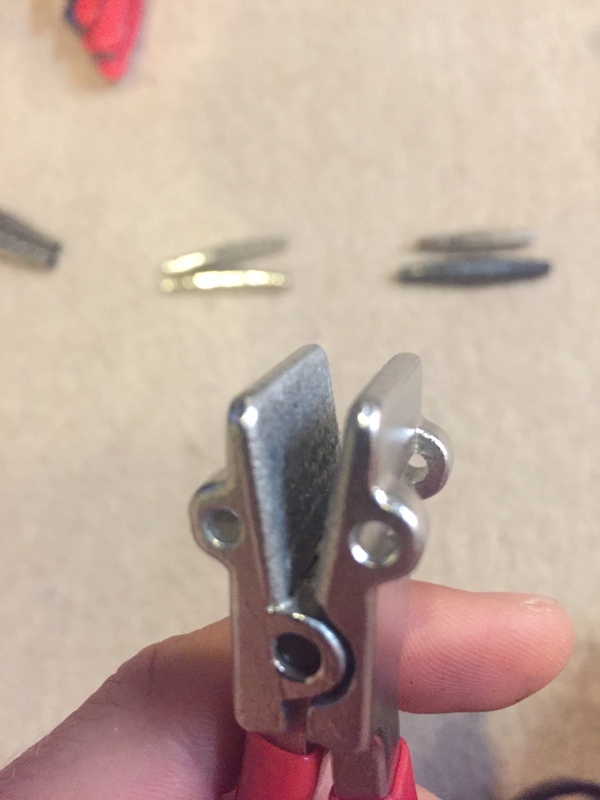 I put the springs out of the Pros Pro in the Gamma clamp and it seems harder to open now so I'm assuming the springs are not the issue but the clamp itself. If you want a Pros Pro buyer beware. If you're in the market for new springs you may want to look at cannibalizing a Pros Pro clamp. Who knows you may end up with a good clamp for under $20.